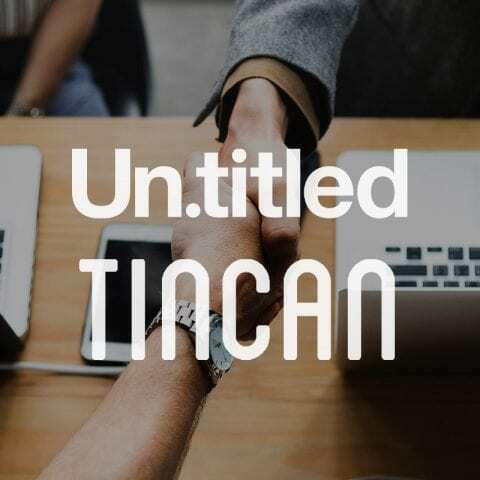 The Un.titled team are delighted to announce Tincan, a 16 year old London based digital agency, has been acquired by the Williams Commerce Group and will be incorporated into the Un.titled brand with immediate effect. Tincan have been helping great organisations do great things online since 2001. With a focus on delivering digital projects in the arts cultural, heritage and not-for-profit sectors, we have built an enviable reputation as a leading Drupal digital agency. Founded in 2009, Williams Commerce is one of the UK’s fastest growing digital, ecommerce, software development, ERP and digital marketing specialists in the United Kingdom. It serves hundreds of customers in the UK and internationally across a range of sectors with digital services. As part of the acquisition, we will be re-branding Tincan under Un.titled, an award winning, creative digital agency within the Williams Commerce group of companies. Brian, Managing Director of Tincan will remain with the business and assume the new role as Head of Agency, Un.titled. This acquisition represents a great opportunity for both Tincan and Un.titled clients as well as the wider Williams Commerce group. We've been deeply impressed with Brian and the whole Tincan team, their work and achievements as their business has grown over the years. We believe this offers a great future for all parties and our continued commitment to offer the very best digital solutions to our customers. The acquisition was a direct buyout by Williams Commerce Ltd.
Tincan, shortly to be rebranded Un.titled, will continue to operate from its London based headquarters maintaining day to day operations led by Brian and Michael. The Tincan team and the wonderful clients we work with are hugely important to me. Now as part of Williams Commerce, we will be able to offer an even wider range of services and opportunities to both Tincan and Un.titled clients. I’m very much looking forward to the opportunities this will bring. Thank you to everyone who's helped us get this far ... and here’s to our next chapter!